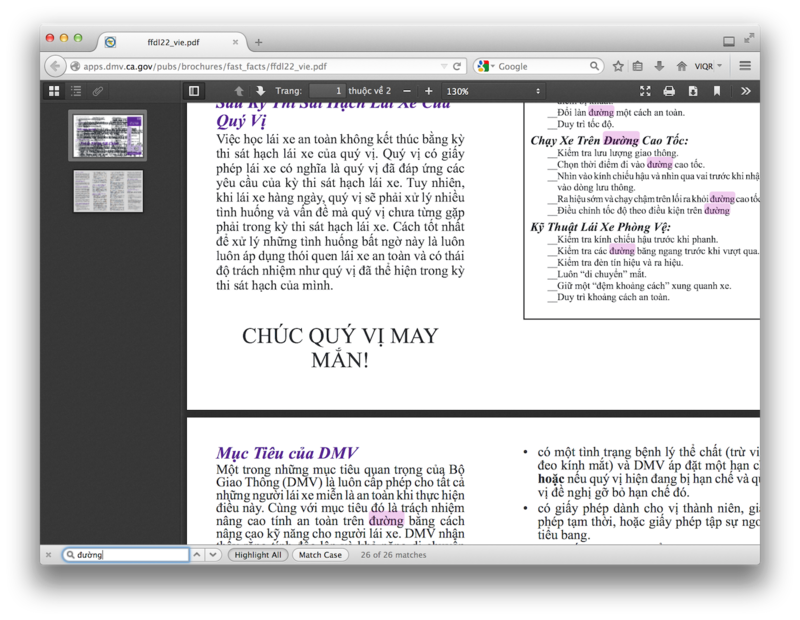 AVIM – the Advanced Vietnamese Input Method – is the most convenient tool for typing Vietnamese on the Web. It’s available as a free extension for Firefox and related applications. With AVIM, typing Vietnamese is so natural you don’t even think about it. Important: Firefox 57 and above is incompatible with AVIM due to the new WebExtensions feature that is replacing traditional extensions. AVIM cannot be updated to work in Firefox 57 until AVIM’s most basic functionality is possible in WebExtensions. Please subscribe to this GitHub issue and vote for any Bugzilla bug reports mentioned there. Thank you for your understanding. If you type the wrong diacritic, just go back and replace it – you don’t have to retype the whole word. And Undo and Redo work like they’re supposed to. Whenever you need to write in English, just press Ctrl twice in a row to turn AVIM off. In many cases, you don’t even have to do that: by default, AVIM only affects words that look like Vietnamese. To write a loanword like kilômét, insert syllable breaks with ShiftSpace. Plus, you can compose e-mails in Thunderbird, program in Komodo, and even write a novel in BlueGriffon. Many forums and wikis provide their own input method editors that get confused when you use another IME. AVIM automatically turns off those IMEs, so you don’t have to hunt for them and turn them off yourself. Some other input method editors send your keystrokes over the network as you type, making you more vulnerable to eavesdroppers. AVIM never sends any information over the network. AVIM’s source code is free and open to the public – there’s nothing to hide. As an option, you can even add diacritics to passwords, to make your passwords more difficult to guess. Staying safe on the Internet requires vigilance and various forms of protection. It doesn’t hurt to use a keyboard that respects your privacy. Still stuck using Chrome, Cốc Cốc, or Opera? Install AVIM for Chrome by Nguyễn Kim Kha. 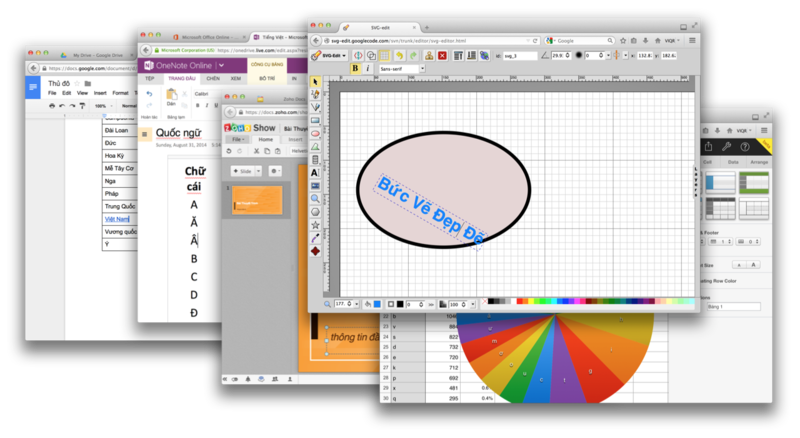 Webmasters can integrate Hiếu Đặng’s avim.js into their websites. Please note that, due to technical limitations, these “lite” input method editors cannot be as user-friendly as AVIM for Firefox.